When David Hernandez was growing up, he spent many summers with the Catholic Latvian Church on Lake Wandawega, 90 miles north of Chicago. After so many fond memories of singing, dancing, fishing and swimming at the lake, he told the reverend one day that if the property were to ever go up for sale, he would be interested in purchasing it — if only to keep it out of the hands of lakeside developers. It might have been an outlandish whim, blurted out during an emotional moment, but the reverend never forgot. Flash forward to 2004 and Hernandez and his wife Tereasa Surratt would receive an unexpected phone call from a familiar voice. The 90-year-old property was being put up for sale and the reverend wondered if Hernandez was still keen on buying it. He said yes, signed the papers and the couple immediately got busy. The golden age of the Catholic Church had come to an end after two decades, and along with it, maintenance and improvement projects. By the time Hernandez and Surratt acquired the place, weeds had overtaken the gardens and the beach, and roofs leaked before collapsing all together. 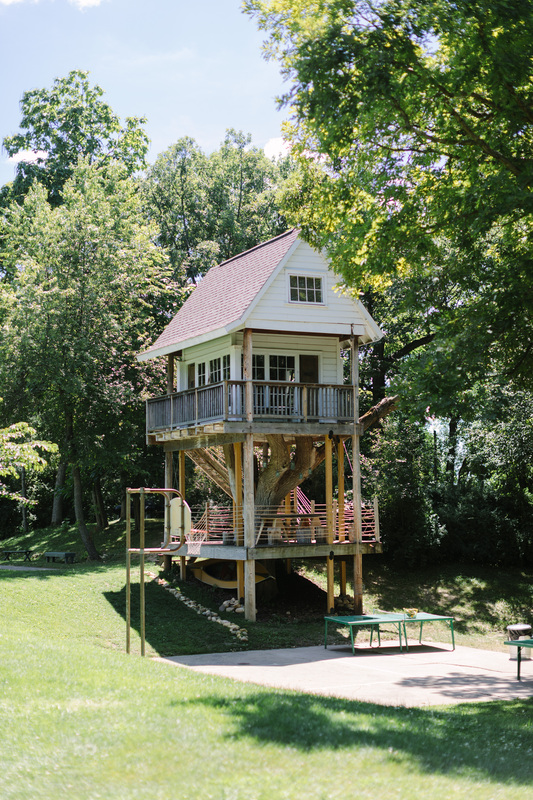 The reality was Camp Wandawega needed more than just a few coats of paint. It took years before the place emerged out of its gloomy state and back to its glory days. Now, reincarnated as a ‘no frills’ resort, Camp Wandawega has welcomed big names like Facebook, Shinola and IDEO to its grounds. 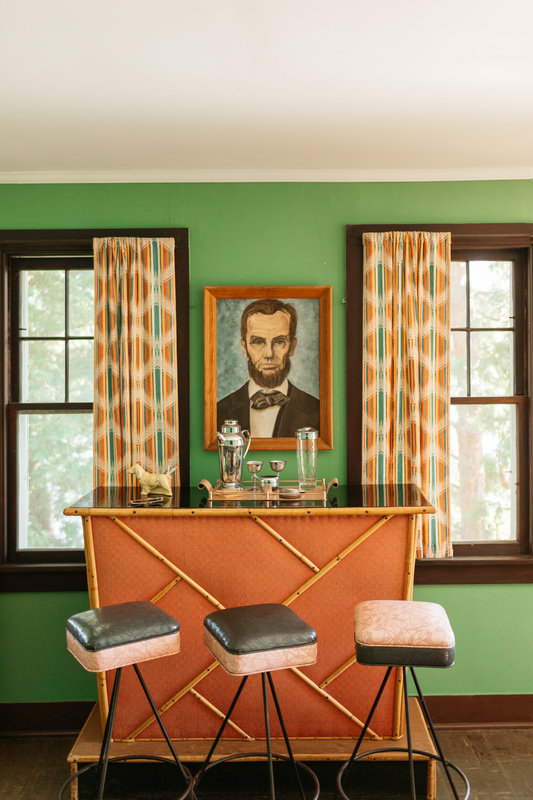 Its close proximity to Chicago has helped the site establish itself as a go-to spot for company retreats and offsite brainstorming sessions, while the quirky vintage decor makes it the ideal setting for photoshoots and weddings, including the couple’s very own one. But even with all the press Camp Wandawega has gotten, Hernandez and Surratt are nowhere near finished with the restoration. 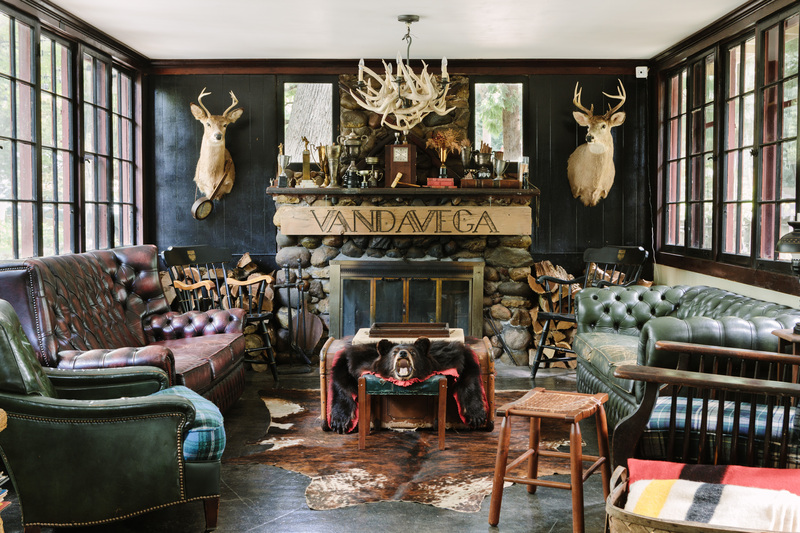 Surratt describes it as a “never-ending evolution.” The couple are always on the hunt for more interior decor to perfect the vibe of the camp. Most of the furniture so far have been from yard sales, vintage spots and Craigslist ads, along with occasional hand-me-downs from close friends. 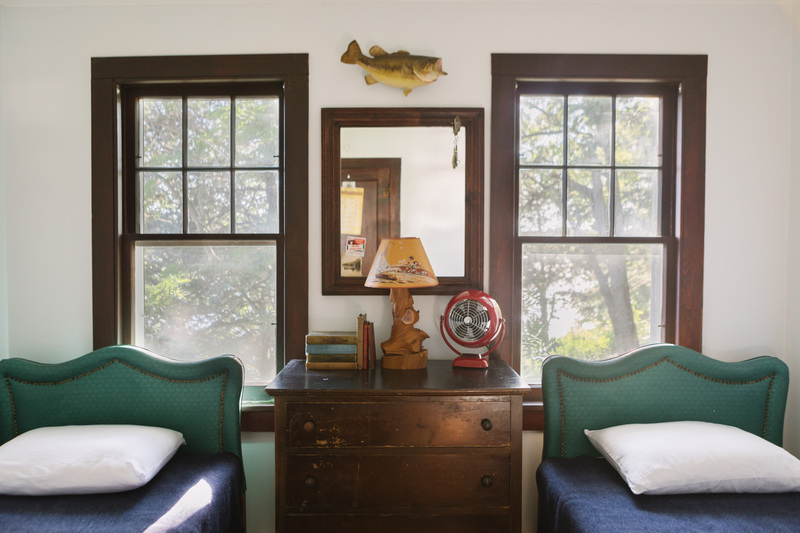 To keep the look authentic and true to the duo’s vision, Hernandez and Surratt follow one rule: Furniture and accessories for the historical buildings don’t cross the threshold if it’s newer than the ’60s. The result is an eclectic ‘time machine’ with a long Airbnb waiting list during high season. And we don’t blame them. 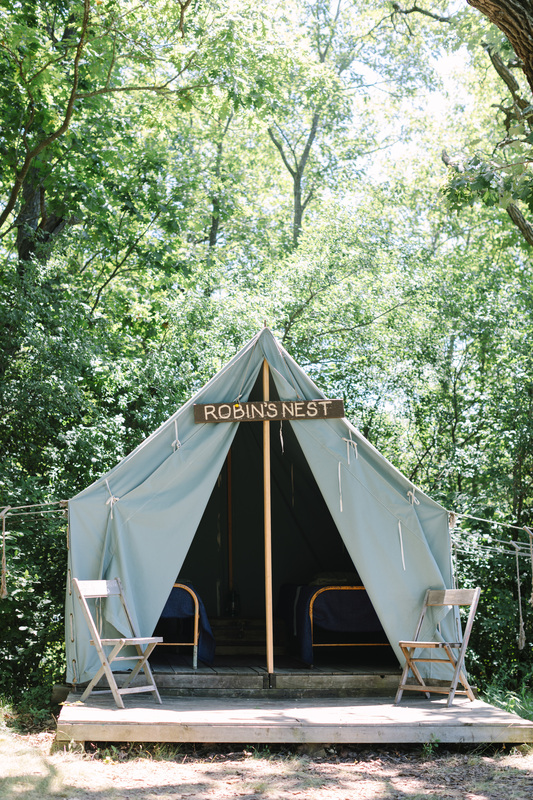 Aside from Camp Wandawega’s unique accommodation, the property has also lured travelers from near and far with its fascinating past. Built in the 20s during the Prohibition era, Wandawega Hotel, as it was known back then, was notorious for liquor, prostitution and gambling. The buildings were outfitted with multiple exits, trapdoors and hidden hatches to conceal the secrets and debauchery that occurred inside. 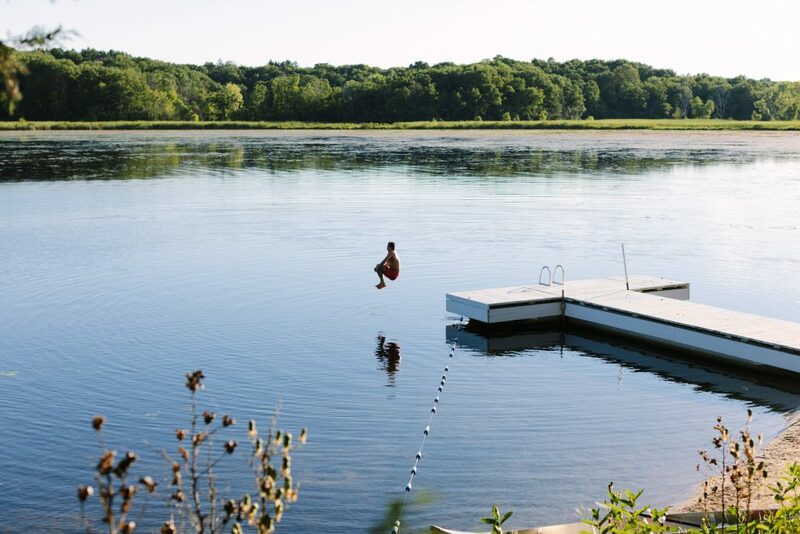 It is this rich history and Hernandez and Surratt’s efforts of keeping it alive, that Camp Wandawega has managed to rise from the ashes and, once again, land on the bucket lists of those looking to escape reality. Just be sure to review their Manifesto of Low Expectations on the resort’s website before you make the trip out, so you know exactly what you’re signing up for!